Antimicrobial Memory Foam Replacement Earbud Tips! 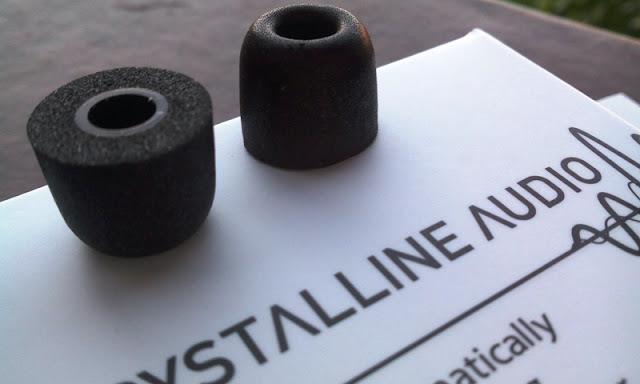 I was looking to replace my standard silicone rubber ear tips on my Sennheiser CX 200 with a pair of long lasting memory foam ones, and so I'm trying out Crystal Tips. 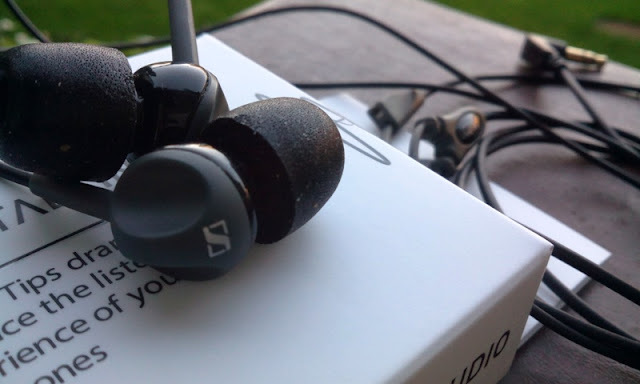 I was drawn to these replacement earbud tips because they are made of soft memory foam with a flexible silicone core and a protective and antimicrobial film outer layer. 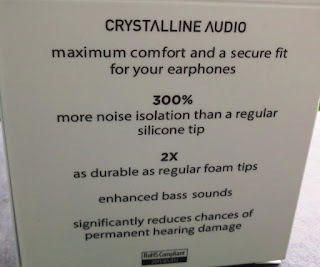 Also, the memory foam that makes up the Crystal Tips has viscoelastic properties, which means they will shape to the ear canal and provide a perfect fit and noise isolation. 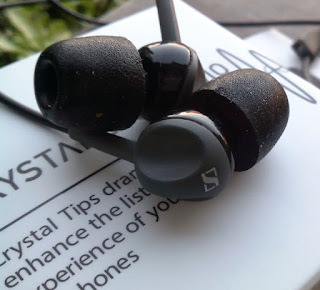 Fitting Crystal Tips on the earphones is easy, and you use them the same you would ear plugs. You squish them flat first and them slip them in your ear. The tips expand nicely inside the ear canal, providing a good seal. I use my earphones a couple of hours a day and these memory foam replacement earbud tips stay in comfortably inside my ear canals. 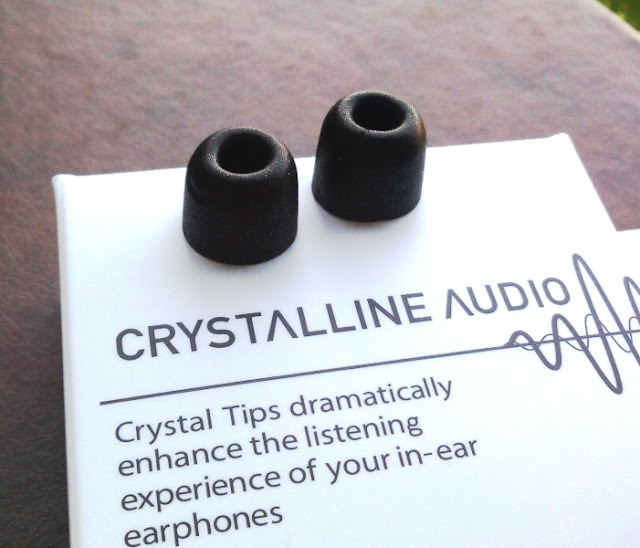 Crystal Tips do a good job at keeping sound out and sound in and drowning out background noise, even at the pub!